Having many years experience in the coffee industry myself, I am pleased to inform you that Crazy Beans will offer your long time favorite latte or coffee along with build your own breakfast sandwiches and award winning pastries. I stepped out of the main stream to focus on offering the best products available with healthy options for families, as well as your everyday coffee and pastry connoisseur. With this in mind I searched all over the globe to bring fresh organic and fair trade coffee and espresso to Crazy Beans. I also decided to work with ONLY local bakeries and pastry chefs to focus on Gluten Free, Allergen Friendly and indulgent pastries, breakfast and lunch options. My goal is to offer better options for everyone while at the same time making it easier and more enjoyable. Crazy Beans will offer customized loyalty programs, a user friendly mobile ordering service combined with curb side delivery as well as a customizable whole bean coffee buying experience (down to the ounce) to fit everyone’s lifestyle. 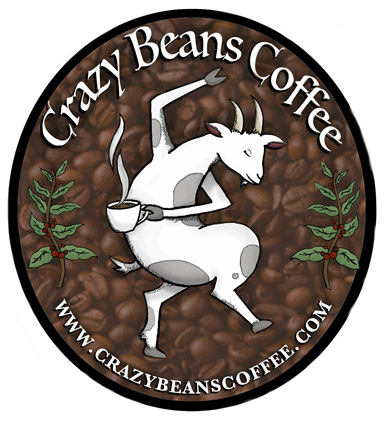 Crazy Beans Coffee’s passion will be to deliver an unattainable experience that you will crave even more than the those Crazy Beans and their caffeine.